If you’re in the mood for a more boisterous crowd and hungry for burgers, beers, and bar stools, Denver has no shortage of eateries eager to please. Take in a night of great food and drink at one of our locally-owned sports bars, pubs, or breweries, where everyone is welcome and everyone leaves well-fed. Every spot is unique… just like you… so find that special match and let the good times begin! 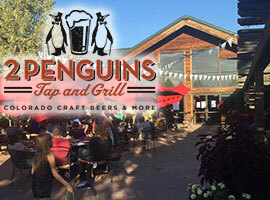 A Colorado-themed Tap & Grill with 36 taps, we’re regularly rotating our craft brew offerings, from all your favorite breweries. 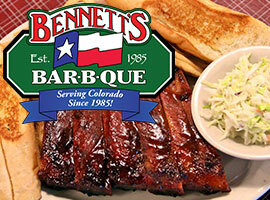 Providing Denver’s Best Texas BBQ since 1985. Enjoy our Bar-B-Que menu and Texas-Sized Values! Our friendly family loves to share Great Texas BBQ with you! One bite of our mouth-watering ‘cue and you’ll know what top-quality Texas BBQ tastes like. 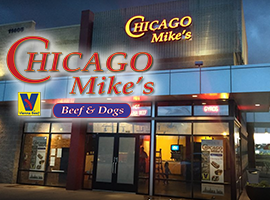 Chicago Mike’s is South Denver’s only authentic Chicago born menu with fresh handmade food to satisfy your craving for great Windy City classics. 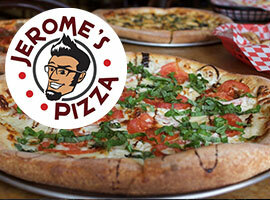 We’ve been delivering quality Chicago favorites to the Mile High City since 1998. From high quality hand-crafted beer to delicious cuisine, we offer the best in an upscale environment for you and your friends to relax and enjoy. 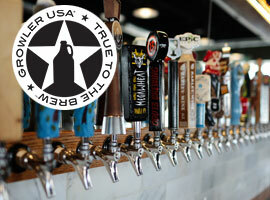 Come and experience American beer at its best at our craft beer pub. We create both traditional and unique specialty pizzas. We believe pizza is the ultimate blank canvas and can be enjoyed in a variety of ways. We here at Maggie Smith’s Irish Pub do our very best to bring a little bit of Ireland to Centennial. Located on the corner of Arapahoe and Peoria, we offer an authentic Irish Pub atmosphere with all of the warmth and care you should expect from your neighborhood bar. Delicious cake-like muffins, big freshly baked bagels, and gourmet Brewster’s coffees make us hard to resist! 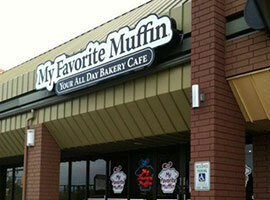 If you haven’t had the My Favorite Muffin® experience, stop in today! 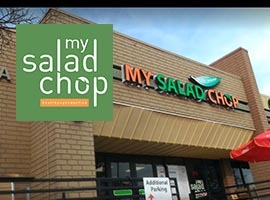 My Salad Chop offers the best, healthy salads anyone can find. From specialty salads created by the team, to build-your-own creations, the sky’s the limit to the perfect salad for you. Custom made fresh and healthy salads for the person on the go! Locally owned and operated, Salsa Brava is part of Rocky Mountain Restaurant Group, which has been serving fresh flavors and local favorites to Colorado’s Front Range for 16 years and continues to lead the way in providing the freshest and healthiest menu items for our guests. Urban Egg features local, organic ingredients in an award-winning breakfast and lunch menu featuring Gourmet Pancakes, Eggs Benedict Selections, Lunch Salads and Sandwiches and a Build Your Own Bloody Mary Bar.